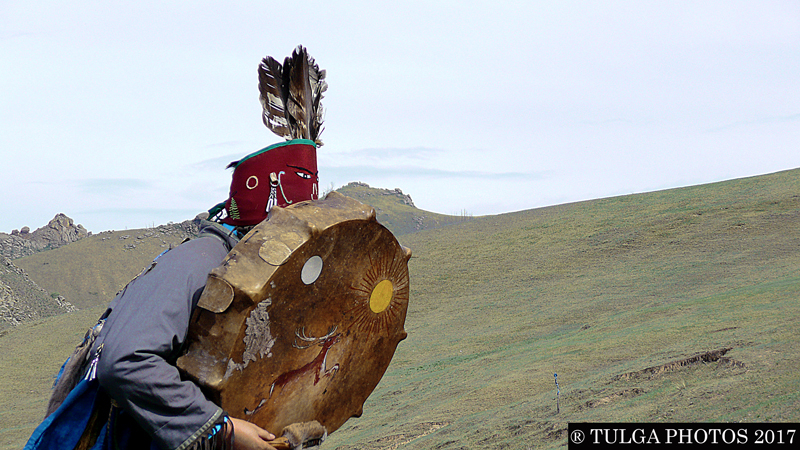 After travelling to Shamans in Mongolia more than 12 years, Tulga, one of our tour leaders has shown us his some of his photos of Shamans for the first time. Amazing images, so we have decided to show them in public in here. He started taking some simple pictures to some of great pictures. 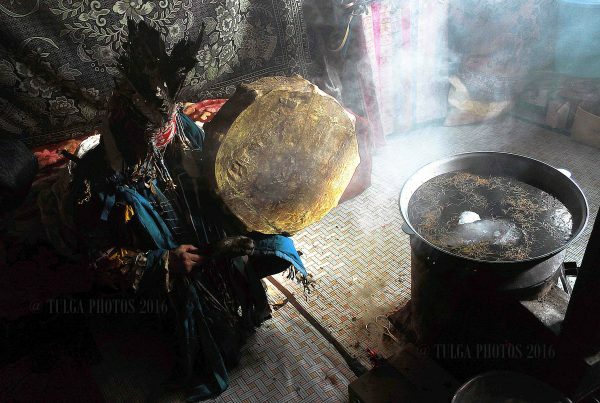 These are pictures of shamans from different places of Mongolia! It is good he shares some of his experience with shamans. Some good stories too. Thank you Tulga, for sharing these amazing pictures, from Nomadic Trails staff ♥♥♥. Picture 1.Drum, which came to alive! 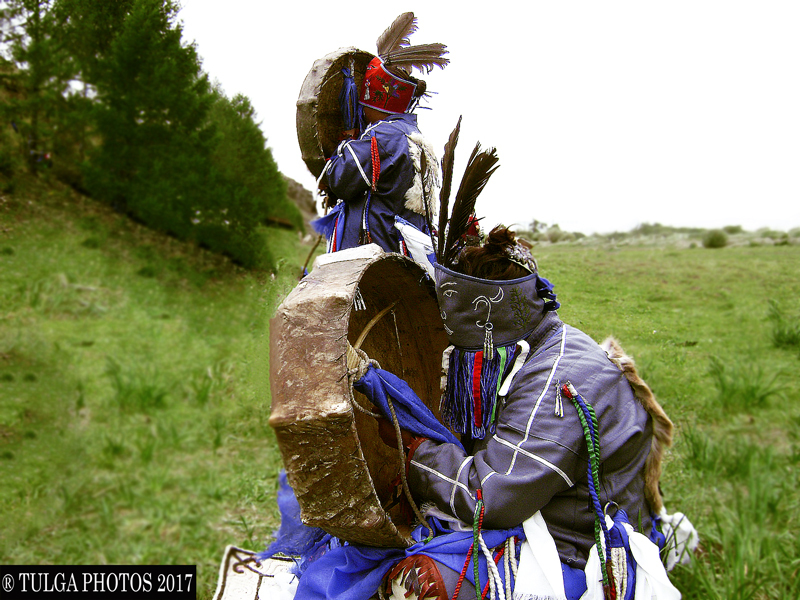 One of my shaman friends has a 3 drums. He named all those drums and hang them in higher in his home. In my eyes he talks to them, or whisper sometimes. One of my visits to him, I happened to witness his communication with his drums. He picked up one and put in the sun, second one too. He looked at his 3rd one and didn’t touch it or kept it in there. Then, he played with his first one. After while, he put in the sun next to second one and played with both of them at the same time. All of sudden, third drum hanging on wall, sounded like soft thundering in there. He looked at me and smiled. I was like little Alice in the wonderland! 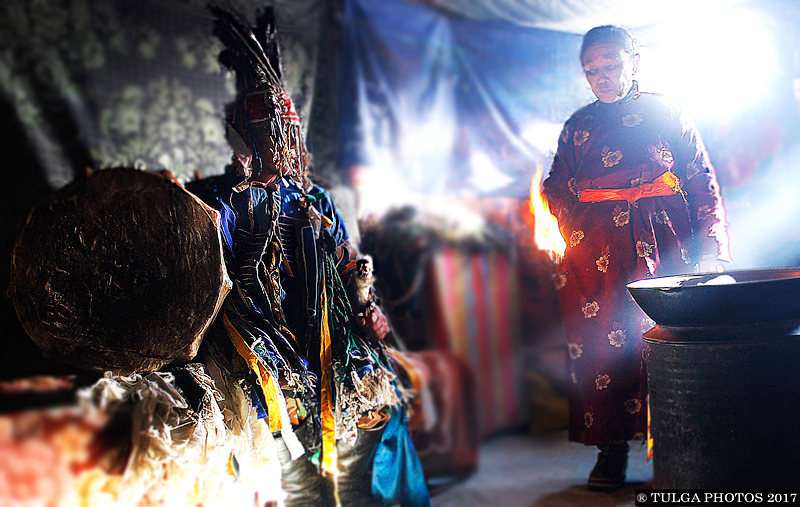 To do any ceremonies, preparation work is so important to connect with spirits. 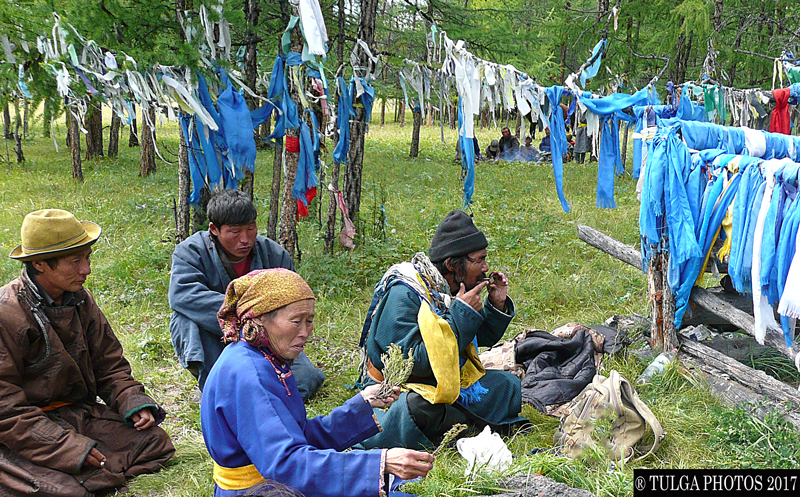 Junipers are being used a lot throughout Mongolia. 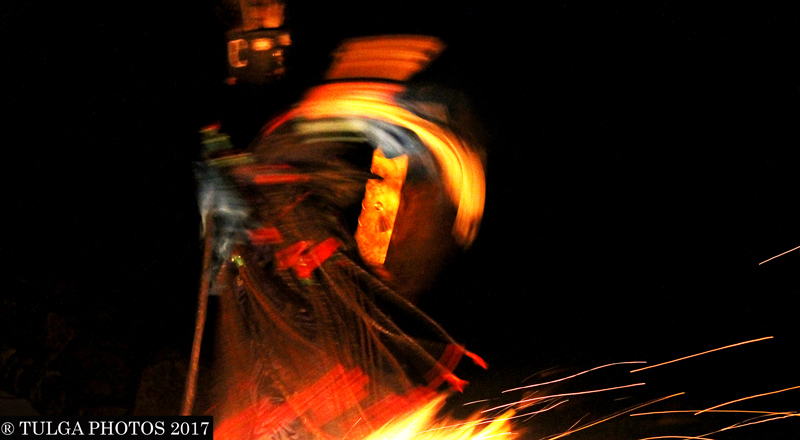 Heating up drum, costume time, offering for spirits and many more. 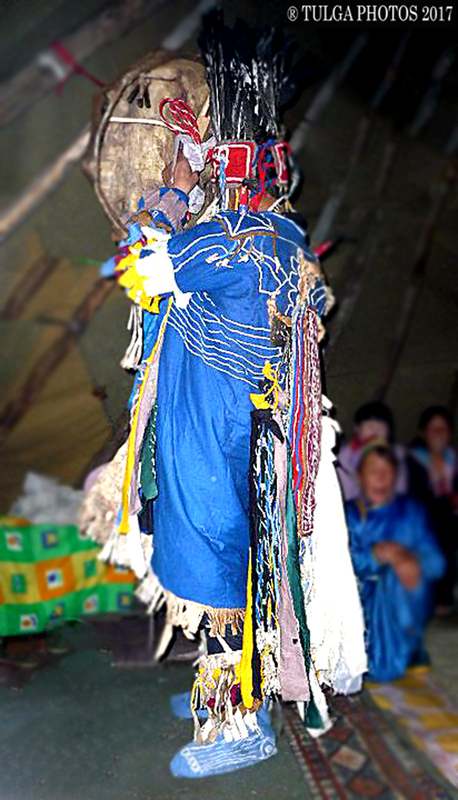 Shamans wear in blue mainly (sky color) hanging small bells from his costume to wake up spirits or protect from bad deeds. Mirrors hanging from his neck is quite common (protection). Some of them wear imitated mask which looks a like human or spirits. Snake alike strings hanging from the shoulders (snake is the servant of lord of river). 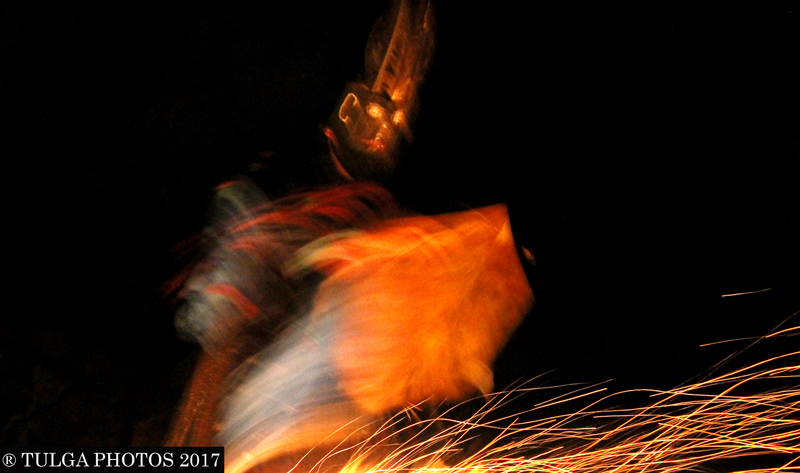 Singing in high tunes or strange old man’s voice coming out from shaman, while he dances is some of common picture of shaman. Rhythm of drumming can be meaningful from almost silent to powerful thundering! 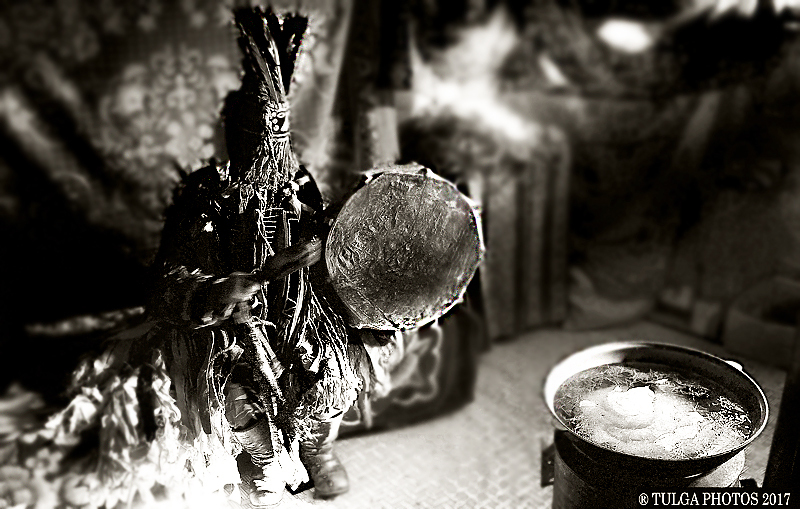 Met one young shaman, in 2010 who does his ceremony in the dark, dances to the fire. He was absolutely fantastic dancer with his drum! So many great ceremonies with him at night in many places. It is always difficult to take shaman’s pictures. 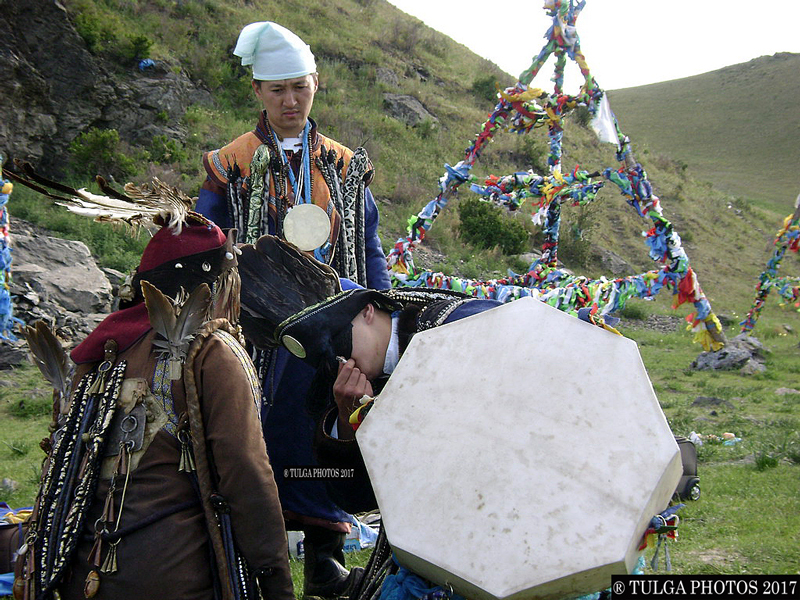 If you don’t know the shamans, they will always hesitate to be in the picture. I was lucky enough to take this picture after 6 years visiting him! I always being asked this question. 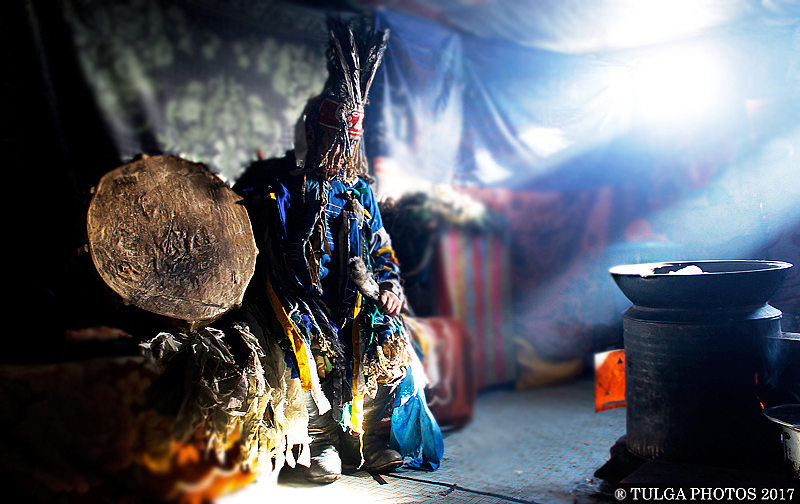 How to become a shaman? Hard to answer. But, simple answer is chosen one or Shaman destiny. Having symptoms of faint, illness from nothing, seeing things, talking nonsense in the childhood period. Important ages are 6; 9 13. There is always signs for future shaman! Picture 9. 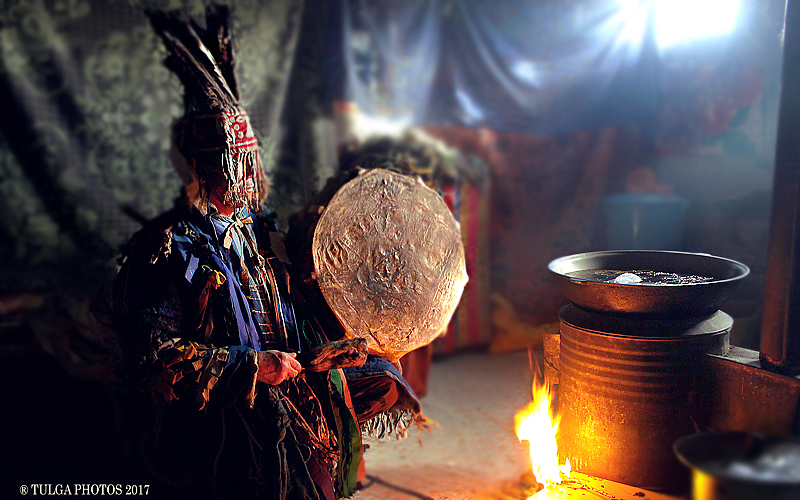 How is it like to be a Shaman? In most cases, people afraid of them. Why? Because they deal with father sky and mother earth to heal someone or can make bad things using black magic! What happens if they send their bad spell to us? These are common fear of people. I would say, be positive, be friendly to anyone or be generous to nature! Shamans can hurt people but they will suffer each time by doing such things! It is not a easy destiny, if I was in the shoes of Shaman! I felt so good or advanced, because i have a shaman friend in sometime ago. If things are not in good condition, or I feel low, I directly contacted to my shaman friend. It happened so many times. I was started to feeling addiction to it. My shaman friend never hesitated me asking questions, Thank you my friend. So, i thought to myself, I should rely on myself most of the time. If I needed some help, which I couldn’t really handle, then I approach to him. I still think it was good decision. We are still in good in friendship. 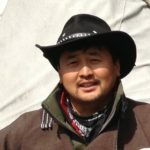 I had a talk with old shaman who is passed away 5 years ago. He was amazing! 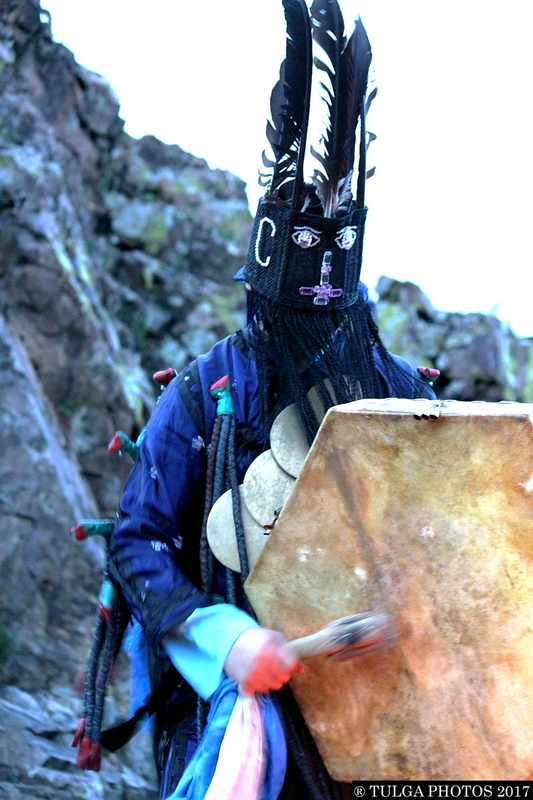 in both personality and shamanic power. Everyone, in the community, outsiders respected him a lot. One word, he was the most powerful one! We had good relationship lasted long. One day, I asked him If I can see lord of Mountain. 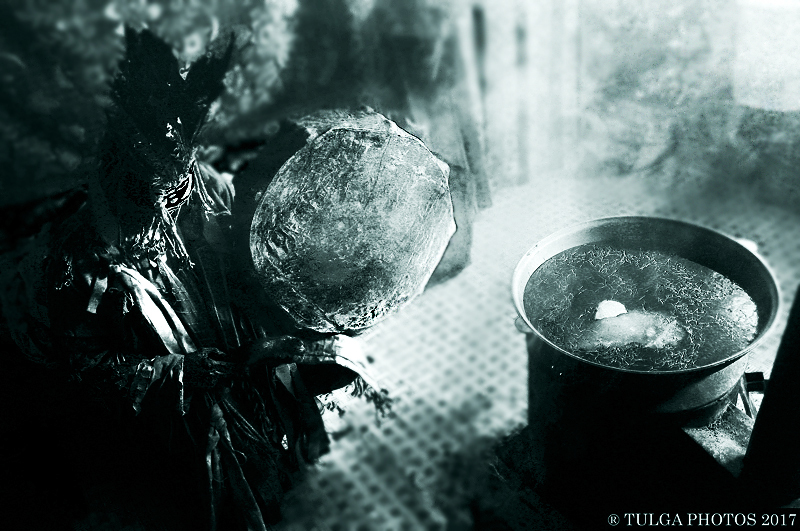 He said yes Tulga, it can be seen as Bear, Bird or even as small child. Hm, I have seen those animals. I must have met Lord of the Mountain before! 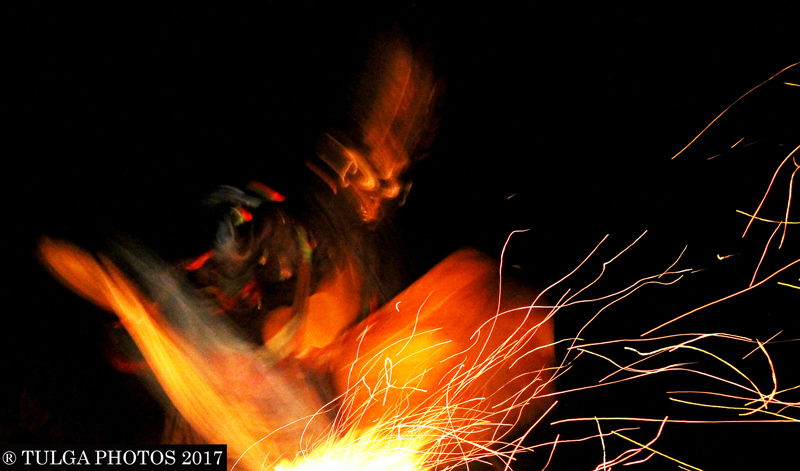 One of my shaman friends who uses fire in all his ceremonies told me there is something purifying thing in the fire. What? Yes, fire itself cleans a lot of bad energy and kills the deed. When I see any fire at any places, think of purifying energy. 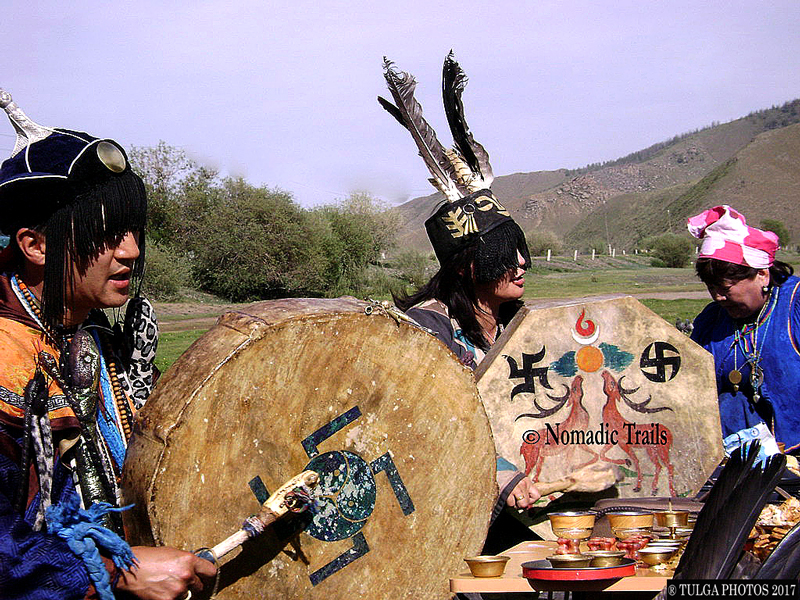 There is no major difference in between shamans in the north or east Mongolia or somewhere else. 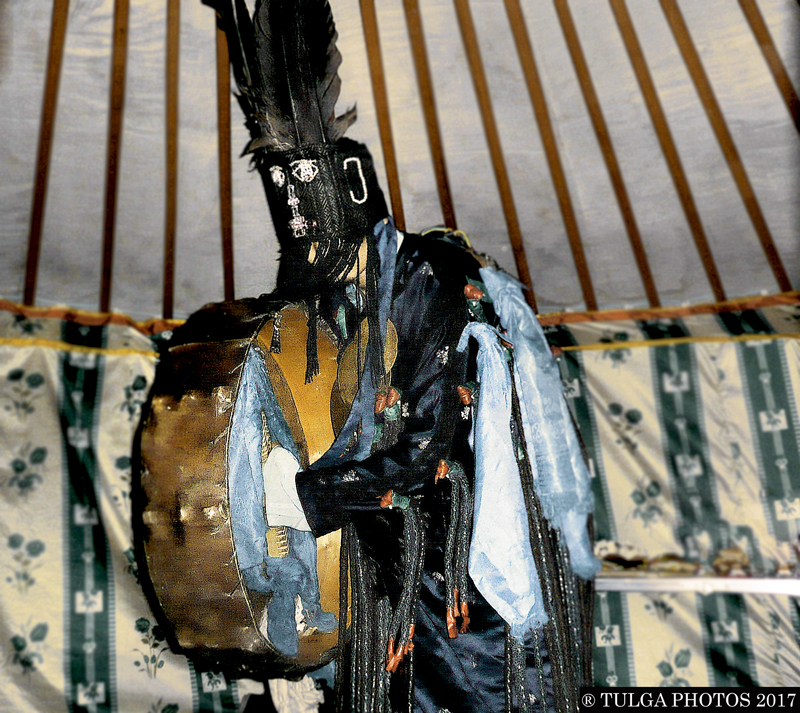 But locals in the north, kept their shamanic tradition a live in the woods during the communist period. 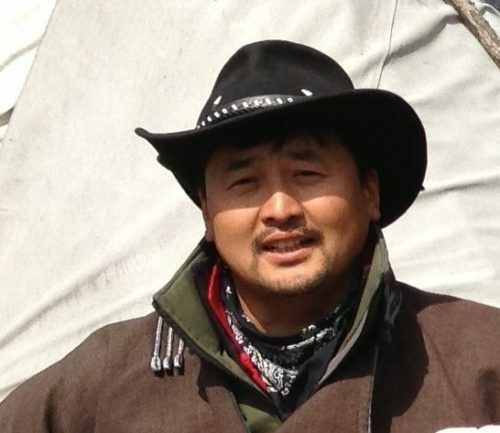 This is why they are most powerful ones as Mongolian consideration. It is important to pass this tradition to someone else. They did it in during hard regime! My very first experience of meeting lady shaman was summer of 2000. As a young man, I was straight forward person. Lady shaman started looking at my eyes, had a little candle to light it up and started like reading book of “Me”. Shocking moments came and no words to say against her! I couldn’t defend my self anymore and fully followed her instruction. I felt power. I still remember her. It was answer from my shaman friend during one of the conversation of solving difficult situation. We have these interesting talk endlessly, sometimes. I do remember this: “Listen to inner person” in difficult situation. It does helps. As shamans say lord of river is so important. Humans are much dependent of water. In so keep water clean. Make lord of the river happy. or you might ended of being illness from any water. There is master for rivers and has servant everywhere! Shaman is contacting the master. Picture 17. Outdoor or indoor? 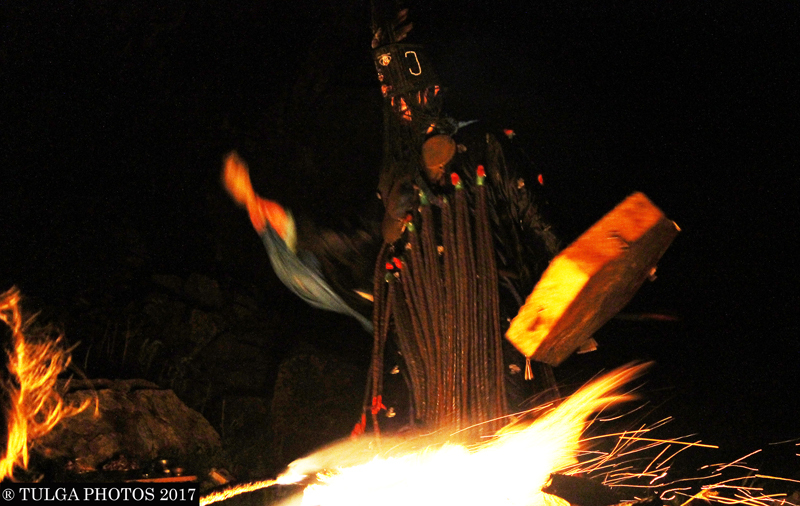 As a shamanic tradition, outdoor ceremonies used a lot before. 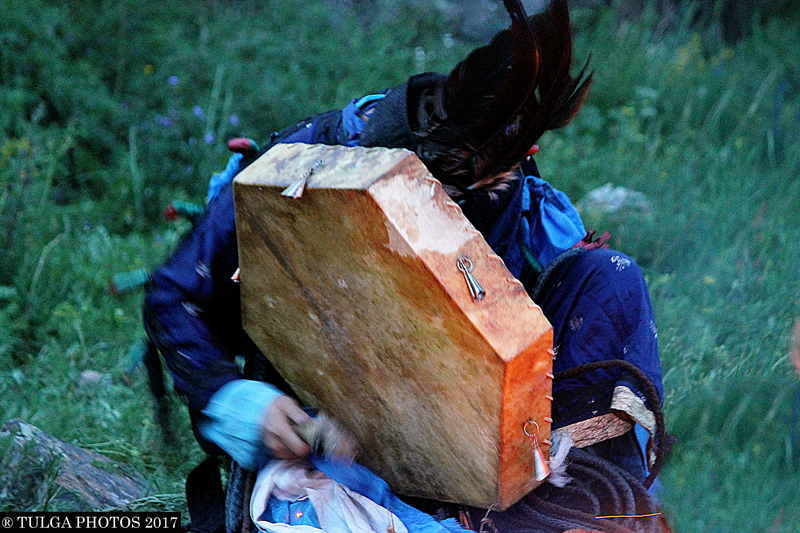 There are many shamans are still prefer to do it outside. Basically, there is not much differences in between indoor or outdoor. To me, indoor is more private than outdoor. Their mirrors hanging from their neck, placed on the chest area. I used to think shamans use their mirror to tell the fortune! No! really? So, what is it for? Protection. I have told some stories of mirror saved the master and tore up in pieces. 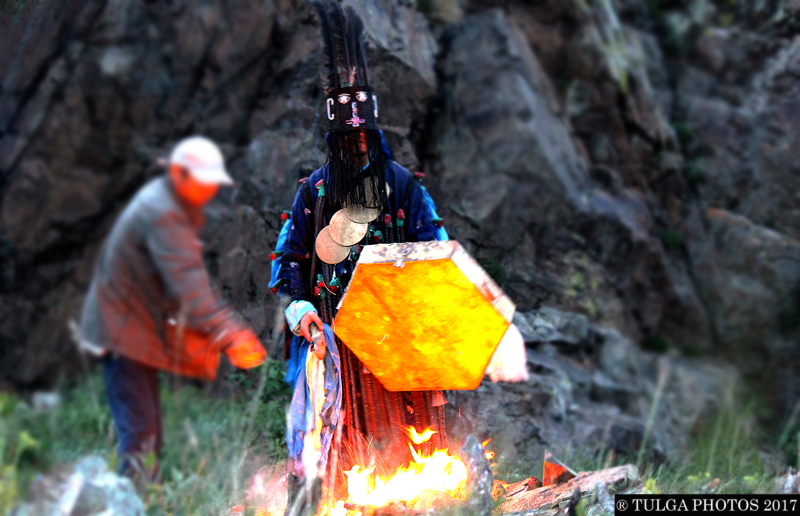 There are 2 ways of doing shamanic ceremony according to accessories or tools to use. 1. Complete : Fully dressed and using drum. It can be outdoor or indoor. Most people know this method. Be generous to anyone or anything. Be positive. These words are from a lot of shamans I met. I have to remember always! ♥♥♥ Thank you for visiting!